When I go out for pizza, I usually gravitate towards the Neapolitan style like here, here and here. 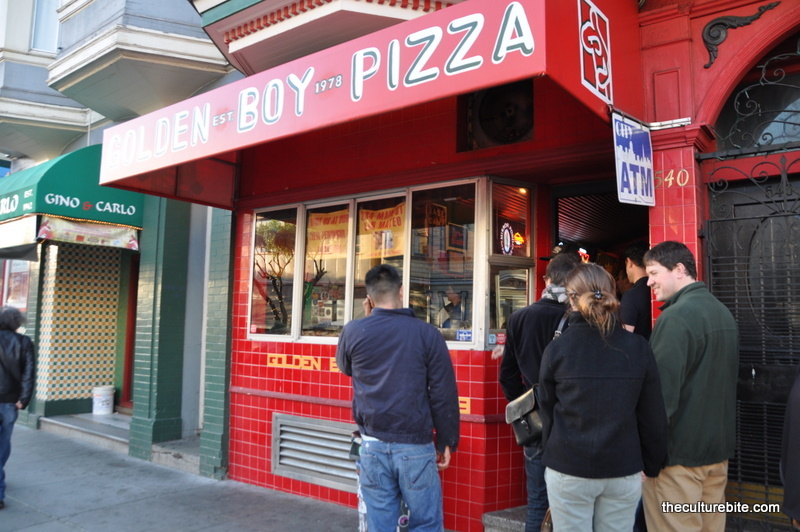 Well, I decided to venture out of my comfort zone and try Golden Boy Pizza. This North Beach classic serves up square-shaped, foccacia-like pizza and is the perfect place to go when you’re looking for a quick slice and an ice cold beer. At less than $4 per slice, I grabbed a classic pepperoni and a clam and garlic. The plain ol’ pepperoni and cheese pizza was really good! 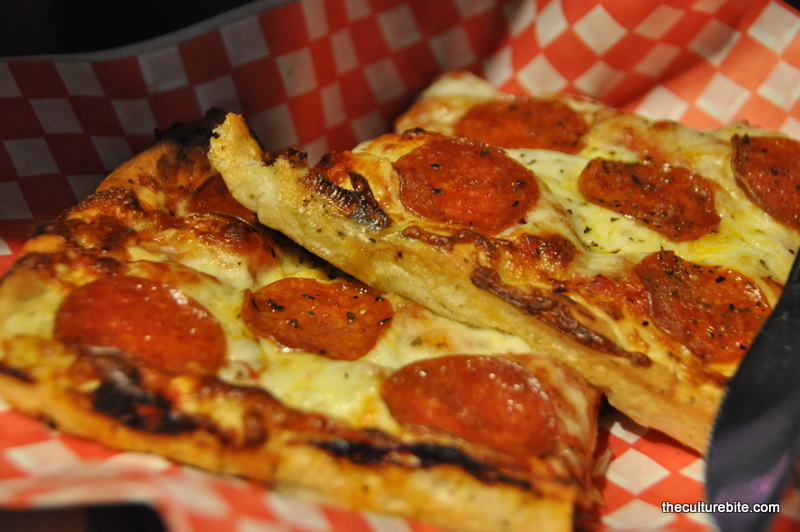 Bread was soft, not too cheesy, and the pepperoni was perfectly charred around the edges. The best part was biting into the little pockets of tomato sauce in between the cracks of the foccacia. Yum! I’d definitely come back just for this. However, I was not a fan of the clam and garlic pizza. 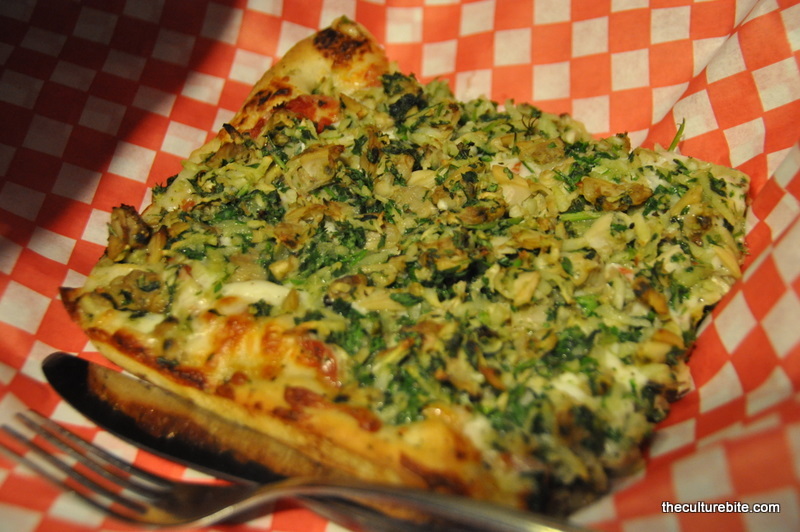 It was loaded with way too much garlic and parsley, so much that we reeked as soon as we left the restaurant. It was so bad, I had to keep my windows rolled down for the night, so I wouldn’t be offended by my own scent the next morning. Yeah, that bad. My suggestion is to stick to the pepperoni. I’d say it’s probably one of the best pepperoni pizzas I’ve had in the city. The clam was my favorite. Made me love pizza again!